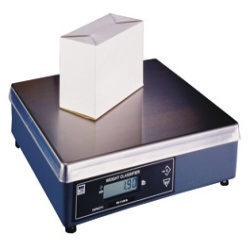 NCI 7820 high resolution shipping scale is suitable for parcels and large packages up to 60kg/150lb. It is a highly accurate scale, able to discern differences of 0.01kg / 0.02lb, which allows precise recording and billing. This parcel scale is also very robust, able to stand up to frequent use in busy mail rooms and postal environments. It has a die cast aluminum base with a stainless steel weighing pan, for outstanding strength and longevity. The 7820 postal scale, available from Central Carolina Scale, can operate as a stand-alone scale or be integrated into existing systems via an RS232 connection. It also supports multiple protocols for use with 3rd party postal software. The scale can be ordered with a ball top shroud, for use in a conveyor. A remote customer display is also an option. Ball-top weight platter- Simplifies transport of all parcels and ideal for conveyer lines. Remote display- Six-digit LCD display housed in a extruded enclosure with a 7 foot cable, connected via RJ45 connector on the rear of the scale. Includes front mounting bracket with velcro to attach the remote display to the base. 10' RS232 Interface Cable (9 pin to 9 pin) included with each scale. Remote display includes a 7' cable. 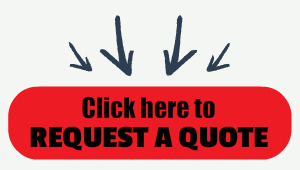 * Custom or non-stock item. Please allow 5-day lead time. The 7820B is fully portable, NTEP certified scale with battery operation. The scale includes an AC adapter, installed carry handle and built in rechargeable battery. NTEP at 200 lbs x 0.05 lbs. 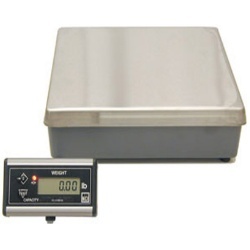 Scale weighing surface: 12” x 14”; Capacity and Resolution: 200 lb x 0.05 lb. 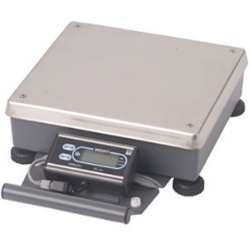 The NCI 7820B portable bench scale was designed specifically for weighing parcels in the shipping and mailing industries. This scale is fully portable, with a convenient handle and long battery life, to weigh anywhere that you need it to. This portable scale comes with several battery saving features. It will go into sleep mode after five minutes of not being used and will shut down automatically after an hour. The large, backlit display can also be run with a sleep function or turned off, for maximum battery life. The 7820B can also be run from AC power which recharges the battery. Backlit Display -- 6 Digit backlight display with 3 operating modes available for battery life conservation. Weight Hold -- Two weight hold operating modes available. Portable -- Carrying Handle makes it really easy to move from one location to another!